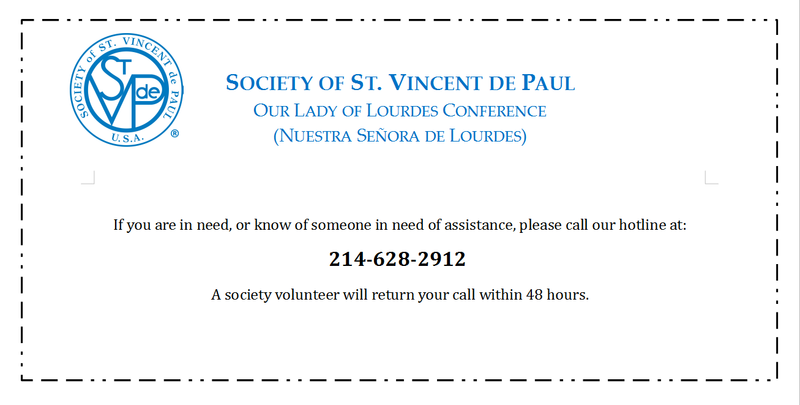 The Society of St Vincent de Paul serves people in need regardless of creed, ethnic or social background, health, gender or political opinions. As one of the oldest charitable organizations in the world, the Society of St. Vincent de Paul (SVdP) is a Catholic lay organization of about 800,000 men and women throughout the world who voluntarily join together to grow spiritually and offer person-to-person service to the needy and suffering in 150 countries on five continents. The Society was founded in 1833 in Paris by Frédéric Ozanam. As a college student, Ozanam and his companions were moved by the plight of the poor and challenged to put their Catholic faith into action. They adopted St. Vincent de Paul as the Society’s patron because he cared for the poor, forgotten and downtrodden of Paris. The first SVdP presence in the U.S. was established in 1845 in St. Louis, Mo., where the headquarters remains. U.S. membership totals nearly 100,000 in 4,400 communities today. This relatively new conference of Our Lady of Lourdes church, began serving this community in August 2016. In it’s short time it’s served over 60 families with clothes, shoes, food, beds, diapers, blankets, medicine, toiletries, and other basic necessities and given a total of more than $8,000 in financial help. Members have volunteered over 800 hours and driven more than 4,000 miles collectively in service of the community. If you are interesting in joining this ministry, please call the hotline and leave us a message our president will call you back with more information, our meetings are usually Sunday at 2:30 pm. in the CCD building. To learn more about SvdP USA, please visit www.svdpusa.org. The Society of St Vincent de Paul, thanks to the support of special donors has been able to travel and participate in diverse events of this ministry at the local, regional, national, and international level this past year. Members of the conference traveled to Victoria, Texas at the start of this year as missionaries to aid surviving Hurricane Harvey families and to live out a spiritual retreat alongside Vincentians from other states. Members also participated in more than 6 sessions of formation and diverse training throughout the year sponsored by the Council of Dallas. Then towards the end of the month of August, once again thanks to special donors, 3 members traveled to San Diego, California to attend the annual national assembly for the Society and another 4 young Vincentians participated in an international videoconference. During these numerous opportunities for formation the members of our ministry represented our parish of Our Lady of Lourdes, advocating for families they serve here, and giving testimony of how important charity and social justice is to them as they live their catholic faith. Reflecting over everything they’ve lived in these experiences they remember these words of their patron saint, St Vincent de Paul: “Let us love God my brothers [and sisters], let us love God… But let it be with the strength of our arms and the sweat of our brow”. In summary Fr. Lawrence E. Mick elaborated this idea reflecting that “every part of our bodies can be used for good. Our tongues can encourage others and share our faith, our hands can offer friendship and comfort, our eyes can contemplate the beauty of God’s creation, [and] our feet can take us to those in need to share with them the Good News of God’s love.” This is what this Society is about and what we seek to live within our Catholic faith. We thank you for your support in every step of the way, we invite you to continue praying for families and individuals who suffer and are need, and also for us so that we may always serve them well as God teaches and commands us.